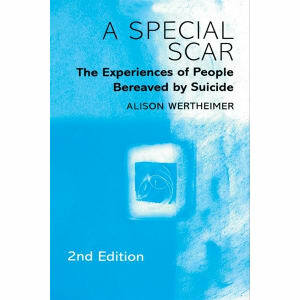 The Experiences of People Bereaved by Suicide by Alison Wertheimer. 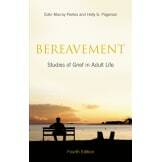 Every 85 minutes someone in the UK takes their own life, but what happens to those left behind? In a society where suicide is often viewed with fear or disapproval, it can be difficult for those personally affected by a suicide death to come to terms with their loss and seek help and support. • A Special Scar looks in detail at the stigma surrounding suicide and offers practical help for survivors, relatives and friends of people who have taken their own life. * group work with survivors. 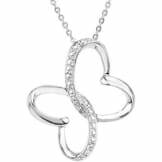 • The new material incorporates the latest research findings which have added significantly to our understanding of the impact of suicide, an area which the UK Government has targeted for action in the mental health arena. 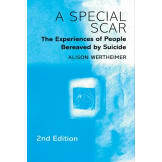 This new edition will continue to be an invaluable resource for survivors of suicide as well as for all those who are in contact with them, including police and coroner's officers, bereavement services, self-help organizations for survivors, mental health professionals, social workers, GPs, counselors and therapists. • Alison Wertheimer has been working as a freelance writer and researcher since 1987, after working in the voluntary sector for twenty years. She has a private counseling practice, is a supervisor with a bereavement counseling service and runs workshops on the impact of suicide bereavement. 288 pages.